Not every collection revolves around a single centerpiece. Some have two key pieces, and others still have three! If you have a trio of swords in your collection that you want to show off, than this Triple Tier Table Top Sword Stand is the way to do so! 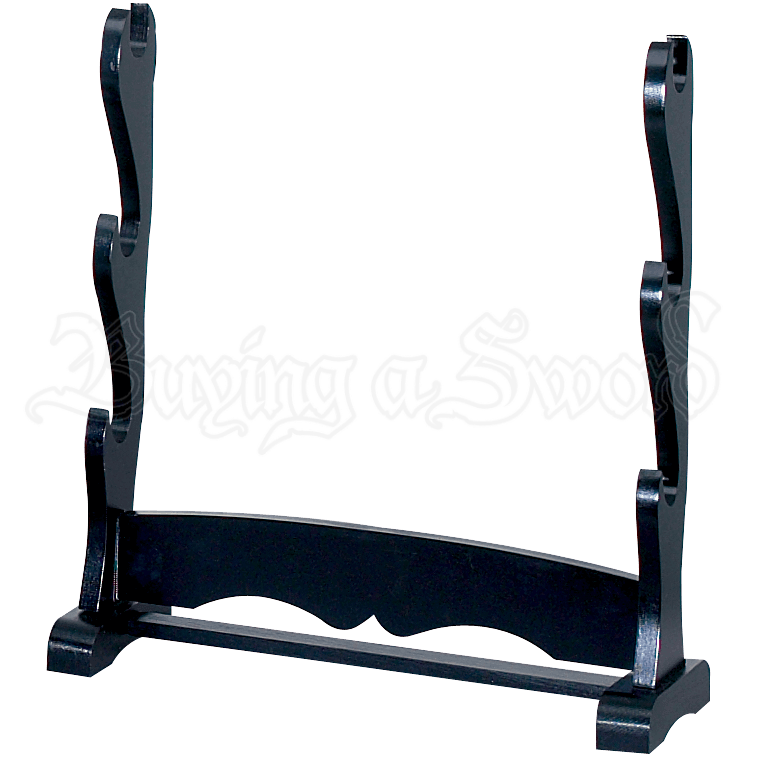 This sword stand features a stable base that allows it to sit easily atop any flat surface, whether it is a table-top or carpeted floor. 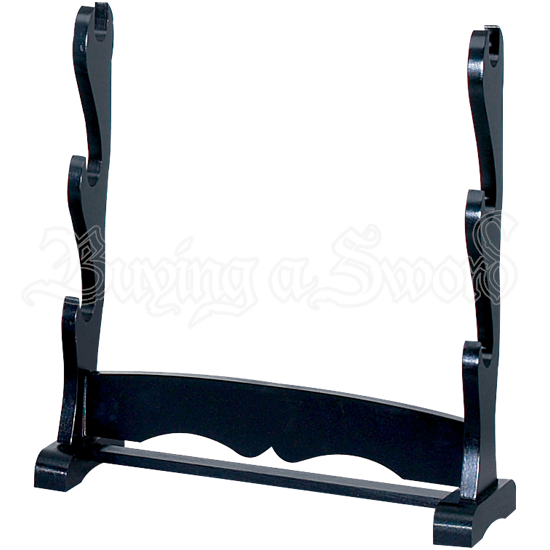 A single horizontal support gives it a measure of stability, while the two struts feature a trio of notches that are perfect for displaying a trio of swords. The stands look is modeled after the old Japanese sword stands, making it perfect for katana and other oriental blades, although this Triple Tier Table Top Sword Stand also serves well for holding a variety of other blades as well, including ones from fantasy, fiction, and even the historic medieval era of Europe!